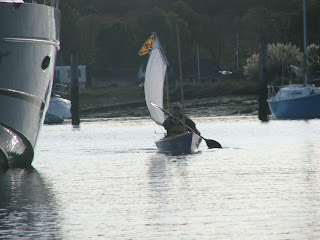 I joined the HBBR - UK Home Built Boat Rally on Saturday for their "Amble up the Hamble". 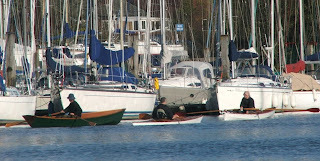 Setting off from Swanwick Hard, we rowed upriver past the moored yachts which characterise the lower Hamble. 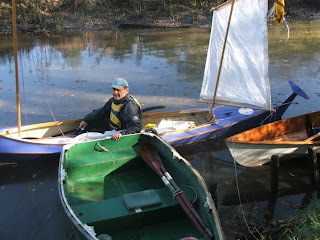 Well most of us rowed, but it was good to have a support boat standing by. 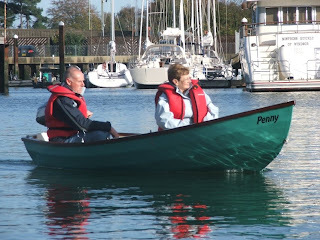 I was really taken with this Selway Fisher design "Penny" - I'm thinking she would make a really nice yacht tender. What contrast between the lower and upper Hamble, the upper Hamble features wooded shores which come right down to the water's edge. Here the fleet is making our way up to the Horse and Jockey pub, we were a bit early on the tide, so in the narrow confines of the last stretch we carried the flood, rowing seldom and grounding often. 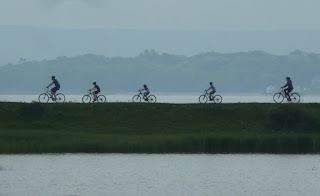 Arriving well before high water, made getting ashore a sometimes tricky and sometimes muddy experience. Having gone to all that trouble, the pub was closed! Undaunted by the pub with no beer, we rowed up the alternative creek which took us to Botley where the well stocked Co-op provided sandwiches and refreshments. Thank you for your nice comments on my Selway Fisher Petite Brise "Penny". 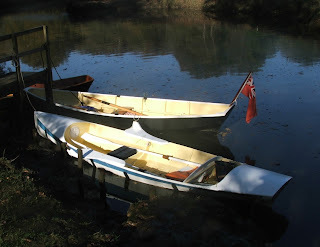 According to the plans catalogue she was designed as a tender and training dinghy for the Jolie Brise back in the 1990's. Thanks for your companynon Saturday. 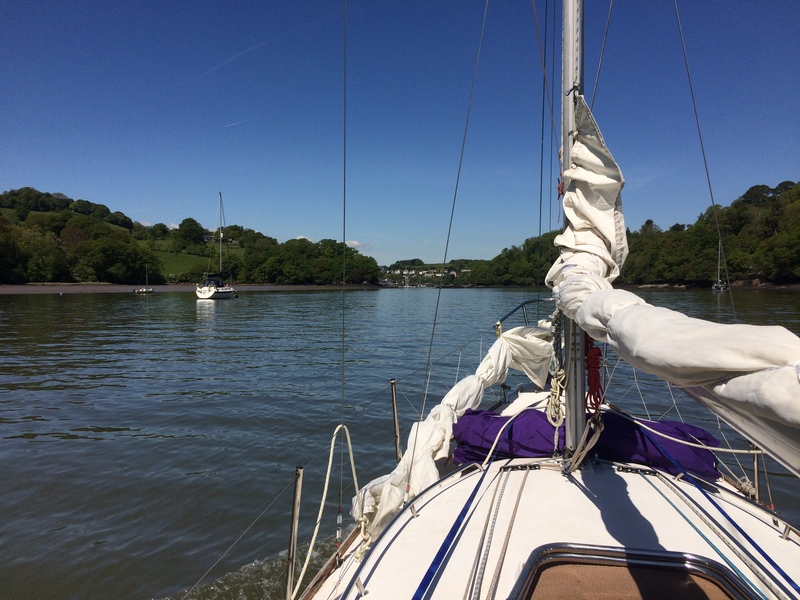 Amble up the Hamble! why can't we have something as picturesque as this? 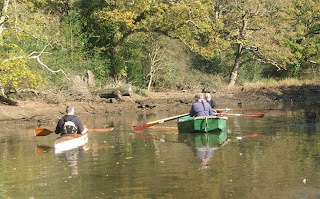 Hi Max, Love the photo of me in Polythene Pam paddling alongside the Gin Palace. Wouldn't mind a copy. send to ganeil(at)btinternet.com if you'd be so kind. Cheers Graham.